Nowadays everyone has accelerometer sensor in its own smartphone. It’s there for several reasons. First of all it’s used for detection of screen orientation relative to the gravity field. This is the sensor which gives your phone information when the screen should be switched from landscape mode to portrait. 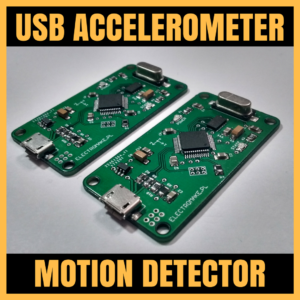 Beside this there are many other ideas how to use accelerometer. One of them is pedometer. 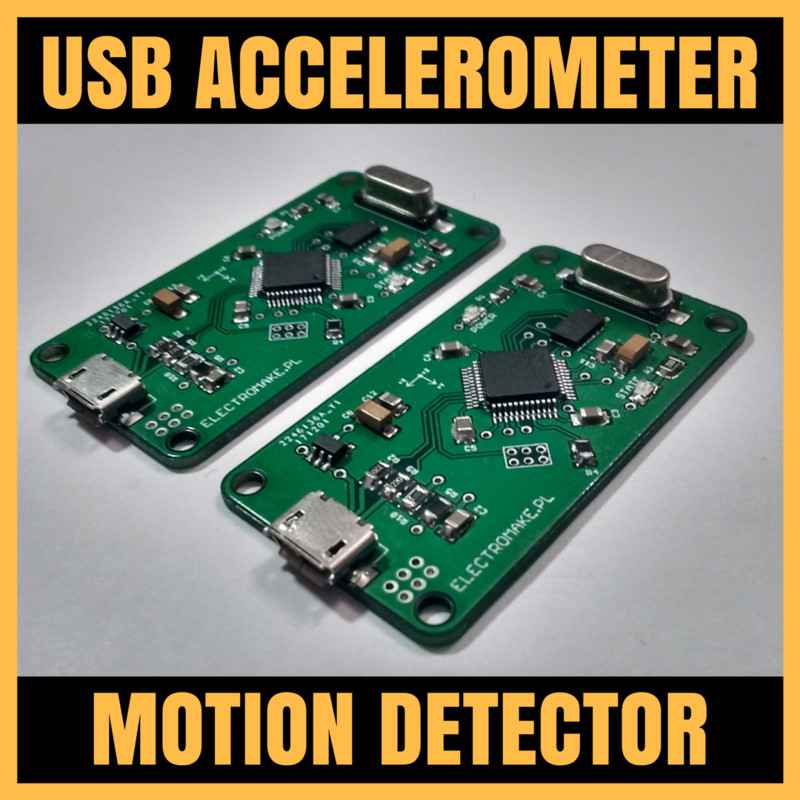 An app or device which uses accelerometer to track your steps. Application tries to analyse real time data from sensor to find peaks witch corresponding to human steps. Knowing average step length the program is able to calculate traveled distance. Such sensor may work as spirit level or angle reader to make something like ball on plate controlling machine just like this one bellow. I though that it would be nice to have such a sensor in ordinary PC or Rasperry Pi computer for similar purposes so I designed one. My version is small, compact and Plug & Play. You don’t need any Arduino or embedded coding. It’s just Plug & Play device which communicates with computer by USB port. If you are interested you can purchase it in electromake store.